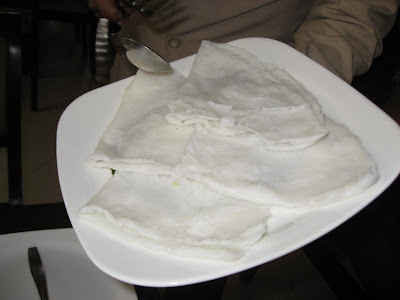 I love neer dosa..one of my favourite varities.. There's a shop on Aundh Road (near the Ambedkar Chowk junction with Bhau Patil Road), called Babu Moshai. Apart from several ethnic Bengali foods, he sells rosogollas made with palm jaggery which are pretty good. Good chance that he might have blocks of palm jaggery for sale. 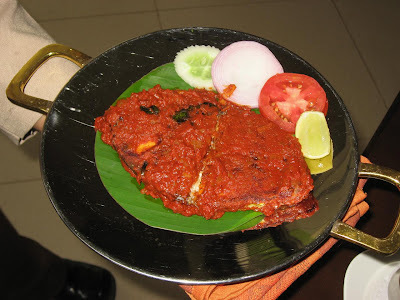 That Seer fish fry is mouthwatering! Wow, those pictures made my mouth water! 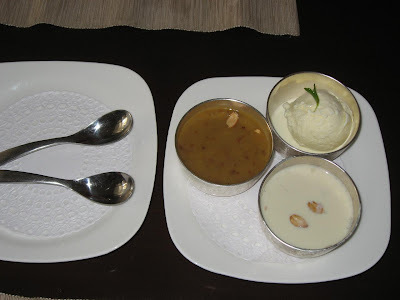 I have never had South Indian cuisine - most restaurant serve North Indian. I know that there is a place near me in LA, so I will have to go check it out! 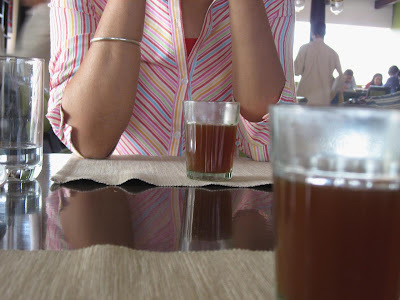 @Lakshmi: Not everyone can make them well, unfortunately. @Ganesh: Oh yes, I buy date-palm based Bengali sweets from them. @foodette: Just be careful about the high spice level! @Mushtaq: You are right, Mithas does too. 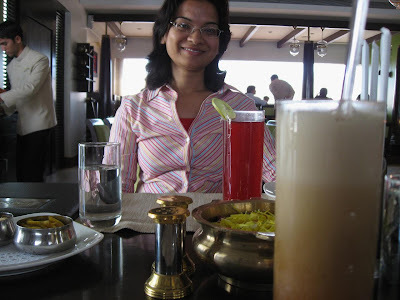 @Harekrishnaji: Please share your feedback when you do. Aha, the Kokum review is here. Looks pretty yummylicious! 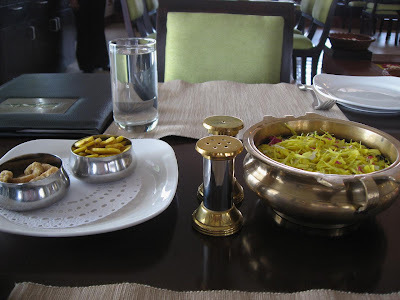 Shantanu, how about reviewing XIA (Karve Nagar), and the new and improved "Garden Court"? @Sandeepa: That's correct. Hovering the cursor over pics in my blog will give you a brief description of the photos. @Vijayendra: Will get around to those soon, hopefully! All those dishes look yummy! I wish you lived where we do,so I can directly benefit from your restaurant reviews! Really a beautiful place to go with your family . Service was really good and never expected such a service ever in my lifetime till date. 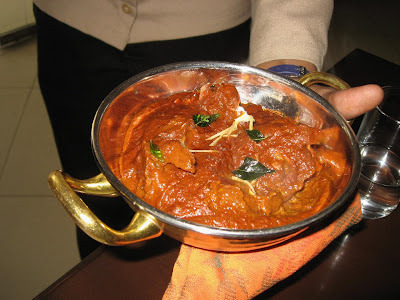 Dishes were absolutely fentastic tried Karaikudi Chettinad style gravy absolutely they served with same flovour. 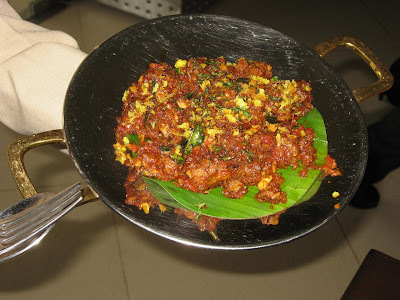 I would recommend for the one who wish to expereince your home town food its available at this place in Pune Viman Nagar. I appriciate the cook and the Management for delighting the cutomers. @Anon: Thanks for sharing too; I haven't been here after this trip; can't say if their quality has fallen. 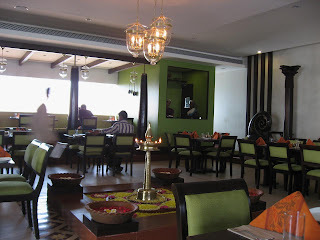 I feel restaurant's like Kokam or like Kokan Cafe in Taj President or Dakshin in Orchid offers particular type of food. Unless you like it or ready for expeirement one should not try it out.